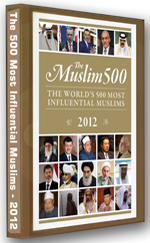 Brother Mohammad Shaikh has been acknowledged as one of the most influential Muslim from across the world by The 500 Most Influential Muslims 2011 Book for the second time in a row since 2010 under Category “Preachers & Spiritual Guides”‑ Preachers rely on charisma to inspire millions through multimedia while spiritual guides traditionally teach through live study circles and individualized directives to their disciples. Brother Mohammad Shaikh has been honored by the management of the Book in the following manner “Shaikh, Mohammad” As the founder of the International Islamic Propagation Center (IIPC), (a da’wa organization based in Karachi), Pakistan, Mohammad Shaikh is well-known as an influential public speaker. He has given numerous lectures on the Qur’an and also founded the English-language IIPC TV channel which broadcasts to viewers across the globe. He was ranked 4th most influential Muslim in the world on a public poll by Reuters in 2009. 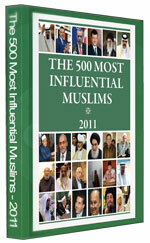 Brother Mohammad Shaikh has been recognized as one of the most influential Muslims from across the world. This recognition has helped him in securing Runners-Up position in the book. This honor has been bestowed upon Brother Mohammad Shaikh on account of his life-long dedication to Islam. He was also voted as the 4th Most Influential Muslim in the World in an online poll conducted by Reuters – Faith world in 2009. Mohammad Shaikh is selected after TOP 50 as the ONLY PREACHER from all over the world to secure Runners-Up position in the book. 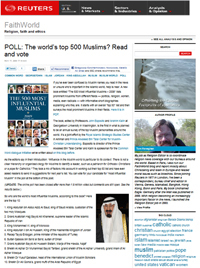 Reuters conducted an independent online poll on its blog named Faithworld in 2009 to find out “Who are The Most Influential Muslims in the world for the year 2010.” This online poll was conducted on the platform of Reuters to find out public views and suggestions about the nominations and candidates to be included in the book – 2010 Edition.” The online poll was closed after more than 1.8 million votes had been casted. In this online poll Mohammad Shaikh from Karachi, Pakistan got over 150 thousand votes and secured 4th Rank Worldwide. 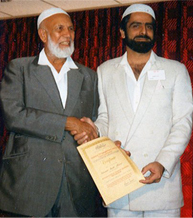 In 1988, Mohammad Shaikh was selected by Sheikh Ahmed Deedat to undergo a training course on Daw’ah and comparative religion at the IPCI headquarters in Durban, South Africa. In this journey Brother Mohammad Shaikh was accompanied by 29 other Daee’s from across the world, while being the only trainee selected from Pakistan by Late. Shaikh Ahmed Deedat. At the completion of this Dawah and Comparative Religion course Mohammad Shaikh was awarded a certificate from IPCI, presented by the honorable Sheikh Ahmed Deedat in Durban, South Africa. Congratulations on this great distinction. 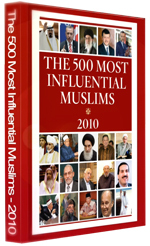 Your ranking in being the most influential Muslim is actually higher because your lectures have made Islamic countries do corrections in their recorded history, but still there is a lot more they need to acknowledge publicly.